We love these wonderful quilts using Jelly Roll strips or fabrics from your stash. 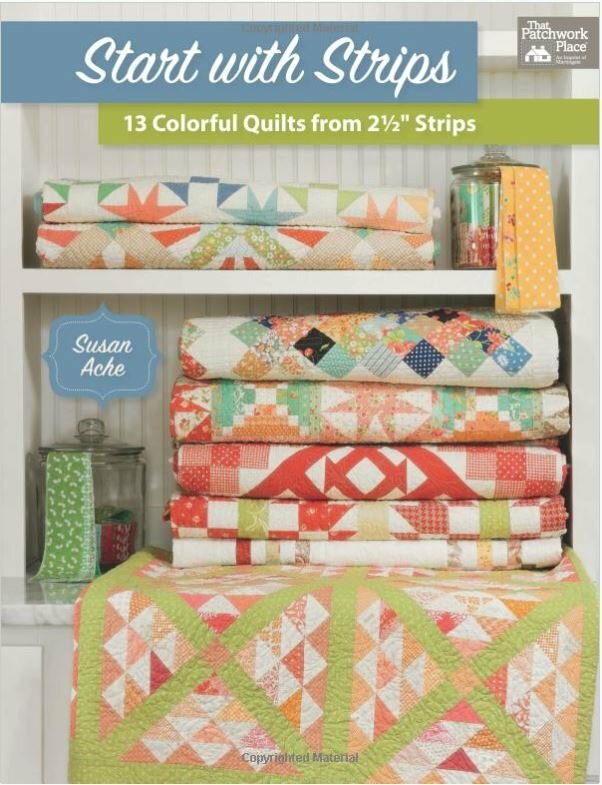 Start with Strips by Susan Ache has complete instructions for 13 wonderful and inspiring quilts using 2 1/2" strips. We have made our first quilt from this book, and we LOVE it! We made the Guest Room quilt. See below. While supplies last, this quilt is available as a kit.